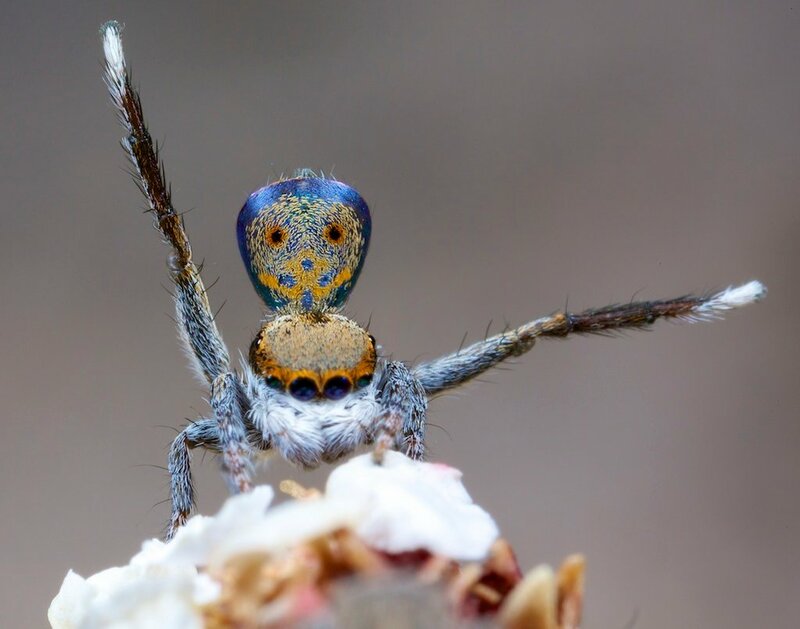 Many People Say That These New Spiders Are “Adorable…” I’ll Stick With “Not-As-Menacing,” Thanks. 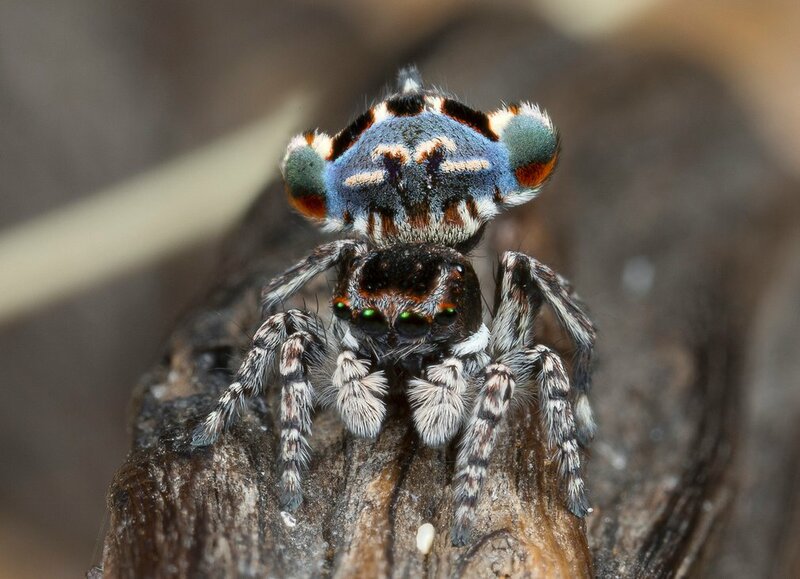 They are called peacock spiders and are very, very tiny. 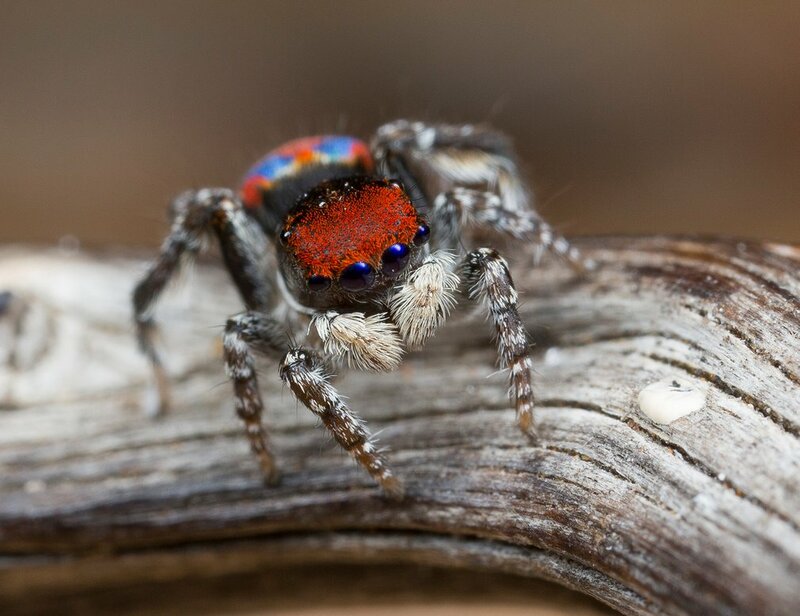 They are brightly colored and have been identified within seven new species. Discovered in 2005 by Jürgen Otto, these arachnids have amassed a respectable (and slightly confusing) following. He first spotted one while on a walk through the Ku-ring-gai Chase national park. He normally keeps his eyes open while out and about in nature, but he was impressed by a small, colorful spot that he almost stepped on. It turned out to be a spider, and his interest only seemed to grow from that point on. 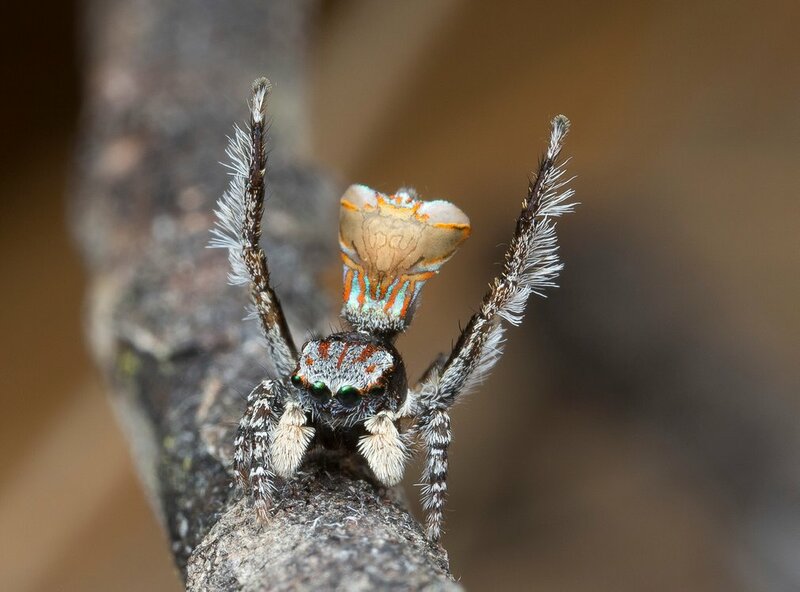 He claims that there are now 48 confirmed species of peacock spider found across Australia, and dozens more are awaiting confirmation. 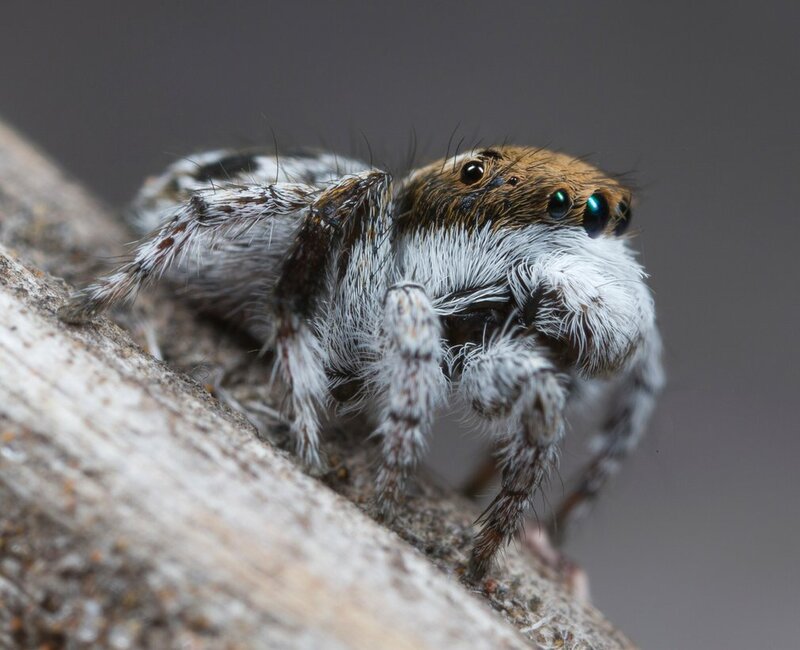 They vary in size between three and five millimeters long and are technically a part of the jumping spider family, but with their large eyes and odd mannerisms, they behave a lot differently. They analyze their environment and react differently when they move around. Sound advice, Otto. What do you think of these spiders? “Adorable,” or not-so-much?